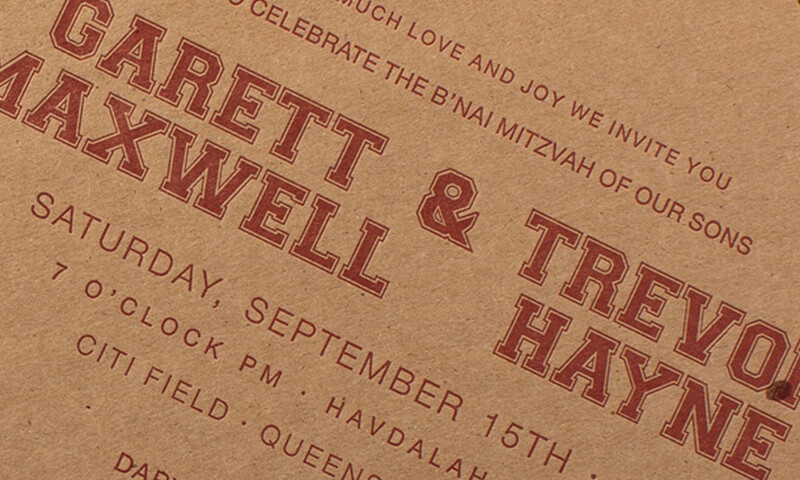 This vintage, baseball-inspired b’nai mitzvah set is letterpress printed on recycled board. 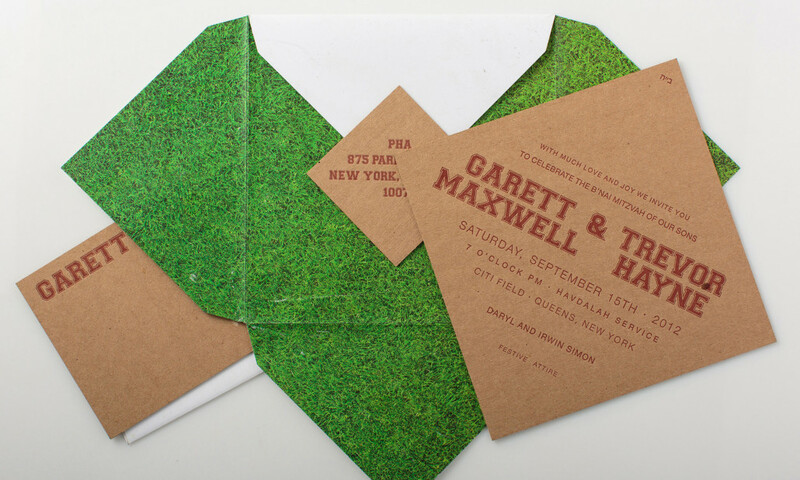 It ships in a mailer that opens to reveal a grass image to suggest a baseball diamond. All colors, papers and theme can be tailored fit your event. Batter up!